It had to be done really. I hope for my sake Im not the only person to subject myself to multiple versions of the same song. 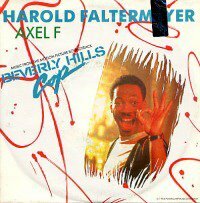 1984: Axel F was orignially a composition by Giorgio Moroder's in-house studio programmer Harold Faltermeyer. It was used for the motion picture "Beverly Hills Cop", and named after the lead character (Detective Axel Foley, intended to be Sylvester Stallone, but rescripted for Eddie Murphy). 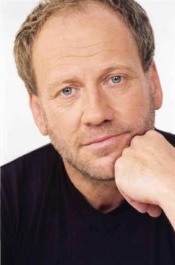 It was composed using three instruments: a Roland Jupiter 8, a Roland JX-3P and a Yamaha DX7. The soundtrack won a Grammy for 'Best Album of Original Score Written for a Motion Picture or Television Special'. 1995: Clock first covers the song, and garners a #7 placing in the UK chart. 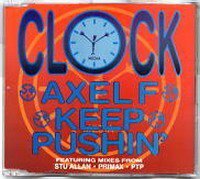 1998: Planet Bass cover Axel F, and only pips at #74 in the UK. 2001: Spacecorn cover Axel F, to no chart success. 2003: Murphy Brown & Captain Hollywood cover Axel F, with no chart success. 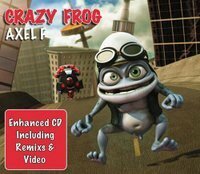 2005: Bass Bumpers take Daniel Malmedahl's vocals, mix it with a sample from the 2003 remix of Axel F, and release it as Crazy Frog (based upon "The Annoying Thing"). It was endorsed by Jamba. Crazy Frog is now negotiating his own TV series.